Valiant’s Ninjak vs. the Valiant Universe series is slated to be the first of its kind for the publishing company. The concept behind it was to gain new readers and followers of the Valiant universe by creating a series that introduces its most popular and famous long-running characters through both a live action series and a comic series. The live action YouTube series, produced by Bat in the Sun Productions, was supposed to be released in late 2017, but has suffered some delays. According to Valiant, its release is imminent and soon. To watch a trailer for the series, starring the hit CW series’ Arrow star, Michael Rowe as well as Power Rangers’ icon, Jason David Frank, please visit here. The comic book portion of Ninjak vs. the Valiant Universe will be released on January 10, 2018. The series follows Colin King, aka “Ninjak”, who is being forced to steal “asset 147”, an undisclosed item of importance, from his place of employment, British Intelligence Service, MI6, by the lethal mystic assassin, Roku. 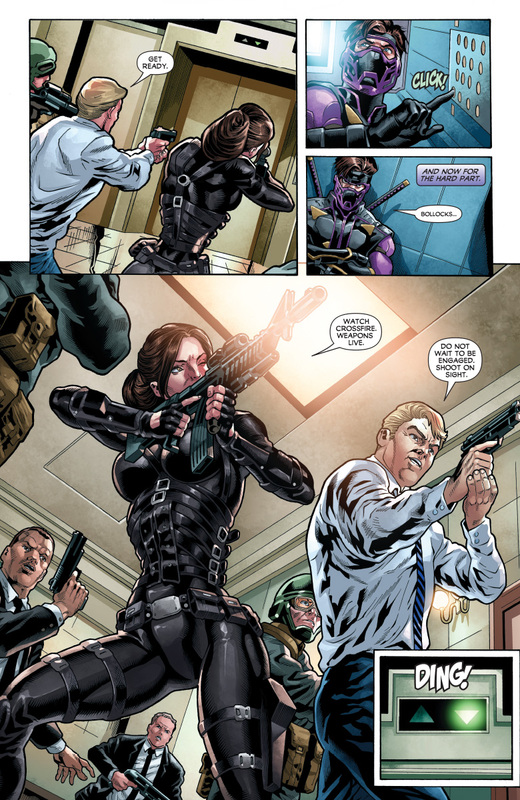 In order to ensure she gets what she wants from Ninjak, Roku has kidnapped and made threats to kill several people of importance to him. The story itself, written by Eliot Rahal, has very little dialogue as opposed to its intense, explosive action sequences. Though the action is dynamic, I believe that the first issue of this series could have offered more dialogue and backstory of its characters. 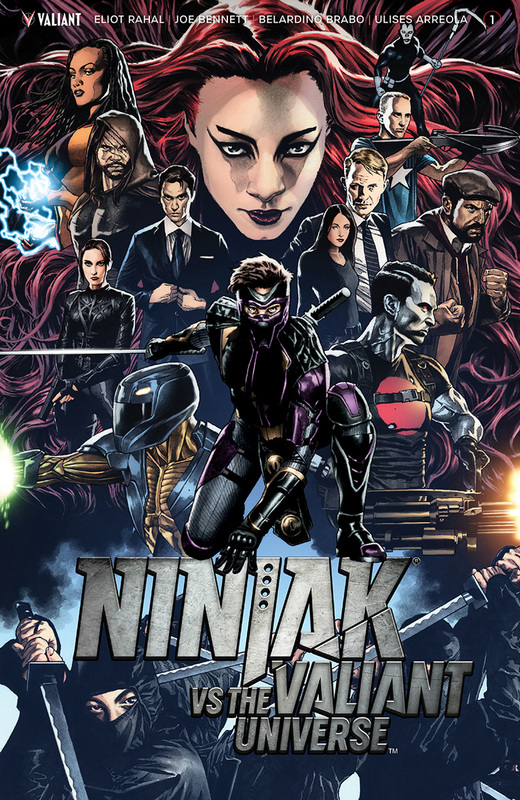 As a graphic novel that’s purpose was intended to draw new people into the Valiant Universe, the first issue of Ninjak vs. the Valiant Universe offers very little in explaining who the characters in the series are as well as their histories with one another. That being said, in the closing few pages, you will notice some recognizable, long standing Valiant characters, hinting that the backstories and histories of each character will begin unfolding in the following issues. Though the first issue certainly had its problems, being that it felt hard to believe it was a first issue of a story dedicated to finding new readers, I think what Valiant is doing with Ninjak vs. the Valiant Universe is very smart. Both Marvel and DC have had great success in bringing their comic book characters to the small screen. Valiant, no doubt, saw this and realized that offering a live action series could be an excellent way to draw in new readers. There has been a renewed interest in some long forgotten comic book characters that have recently been made popular on television series, boosting comic book sales for series involving those characters. If Valiant is able to handle the live action series well, making it cohesive with the digital print, and making both of them interesting and fresh, this series could be very successful. Overall, I think that the series has potential, though it greatly depends on its ability to provide characters that one can develop a connection with. I will be interested in seeing what issue # 2 will hold for the characters of Ninjak vs. the Valiant Universe.